None of the team shops at Wrigley Field carried any stickers, but one of the shops tipped us off to ushers having them in their pockets to give out. Dad ended up getting two of them and he put both on the window. Since we do not have a Reds one despite trying all three times we were in the Cincinnati area, it makes up for missing one. Plus having two Cubs ones is better than going to get another White Sox one, which Dad did try to get at Walgreens when we were in Chicago for the Cubs game, but he could not get there because of some movie premiere blocking the street. Being one of the oldest ballparks Wrigley has an excuse for not being the most accessible, but it does not lean on that and in fact is better than some of the parks built in this century. First off they are the only ballpark that requires you to pick up the handicap tickets in person. Supposedly you have to show an id to pick them up, but they did not really care because it was pretty obvious with Mik rolling up in his wheelchair. Parking was way expensive as we ended up with the $40 parking ticket, which we purchased in advance, instead of the $25 one we thought we were getting when Dad got off the phone ordering the tickets back in February. It turned out worth having the $40 spot, though, because it was on the same block as the park and very close to the main gate. 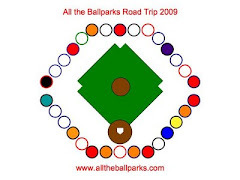 This was helpful when it was raining before the game and we had to go through the rain to get to the park. It was also helpful after the game because it started raining again not long after we started driving. Getting around the park was not too bad even with all the crowds. The gift shop was not even too bad because they closely control how many people they let in at a time, so while the aisles are not that wide at least there are not too many people getting in the way like we have experienced at several other ballparks. The only time the crowds were kind of annoying was at the end of the game when we were going down to ramp. Speaking of the ramp it is actually an easy way to get up and down from the seats other than the crowds at the end of the game. The upper level here is not really all that high in comparison to modern ballpark’s upper levels, so the ramps are not as many back and forths. They also do not seem as steep as some of the other ballparks, although at some parts they are steeper than other ballparks. They also have an elevator for going up and down and I am pretty sure they really do control that for use only by handicapped because we could not even find it besides getting a vague direction. Then again we really did not look for it because we decided to take the ramps. It probably is not hard to find, but it certainly does not have an obvious sign to it, which is actually a good thing because that is when you get the people that do not need it causing problems. Our seats were located in the upper level behind home plate and right below the press boxes. Mik declared them great seats as soon as we got there and I told them they sure as heck better be since we paid $56 a piece for them, which is the most expensive tickets of the whole trip. They did turn out to be the best seats we have had on the trip so far. The view was unobstructed except for the backstop net, which annoyed me a little because it was nearly impossible to photograph the batter or pitcher due to the net. Other than that, though, the view was great, especially of the scoreboard. The scoreboard might not be a fancy jumbotron, but it is totally worth getting a good view of, especially if there happen to be other games going on, which there were not until around when the game ended. The other good thing about our seats was that they are located under an overhang, so we stayed dry while it rained before the game without having to leave our seats. Overall we were actually surprised at how accessible Wrigley Field is. There really is not anything to complain about accessibility wise, as there were even cup holders in front of the seats. They even have an family style accessible restroom right behind the section, which is extremely helpful because the regular bathrooms for the upper level are located just down a steep ramp and become quite crowded and rather impossibly to maneuver through. Today on the way from Louisville to Pittsburgh we yet again drove through Cincinnati (by the way we also looked for the third time to try and find a Reds sticker for the car and yet again ended up empty handed, so it just is not going to happen). Dad saw an exit sign list Skyline Chili, so we ended up stopping for an early lunch. Mik had a cheese Coney like he had at Great American Ballpark. This time he got it without the onions and the mustard and it was way better in his opinion. He also tried the three way (chili, cheese, and spaghetti). He enjoyed it, but only ate about half since he ate the cheese Coney first. He was even too full to try the cheese fries I got despite how good they looked to him and how good they did taste since they had shredded cheese on them and not crappy liquid cheese. There were to two different Wrigley Field balls to choose from. One had the Marquee sign on it saying Welcome to the Friendly Confines and a view of the field, but I know I already have one with the marquee sign on it even though I know it is not the exact same since it has the brick ivy look and not the field view. I ended choosing one with a brick design as the entire background. It has a big Cubs logo on one side. One another side it says Wrigley Field. All over it has little logos including the Cubs logo, be aware of foul ball signs, and the marquee sign. Wrigley Field was one of the few places Mik was hoping to not get just a logo bat because he already has the best Cubs logo blue one in his collection. It seemed like there was not anything better until we spotted one in the case upside down that was blue on top and natural on the bottom. It looked like it might be a player one, but we also thought it could be a Wrigley Field one. It turned out to be a Wrigley Field one and Mik got it. It has a picture of Wrigley Field in an oval on the blue part. It also has a Cubs logo in the corner of the photo. Above the image it says Wrigley Field. At Wrigley Field Mik had a pulled pork sandwich and some fries. We found out right as we ordered that concessions are 25% the first hour the park is opened and we barely got the discount by 1 minute. Mik liked the sandwich, although it was a little messy. It had onions on it and he would have liked it better without the onions. He did like the fries, but he was full by the time he was done with his sandwich, so he did not eat many of them. At the game I got a Northside Twist Giant Soft Pretzel. It was a $15 pretzel, but it was totally worth the price. Now this is actual a jumbo pretzel that lives up to and actually exceeds its giant name. It comes in a pizza box and could easily be enough for at least two people. We only ate about a third of it at the game and took the rest back to the apartment to snack on later (it reheats great by the way). Mik thought it was a little too salty, but he thought that was better than the not salty ones we have encountered. It comes with three sauces. I think you can get one of each of their options, but we just got the frosting type one because the other options included something spicy and nacho type cheese, which I do not like with pretzels. This pretzel definitely rates as the best pretzel in the MLB. Even though we still have 13 parks to go to, I highly doubt anything can beat this pretzel.